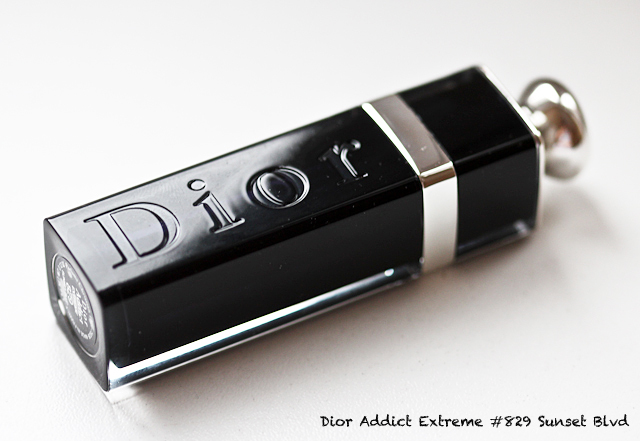 Dior Addict Extreme Lipstick is another new lipstick launch that draws a lot of attention. 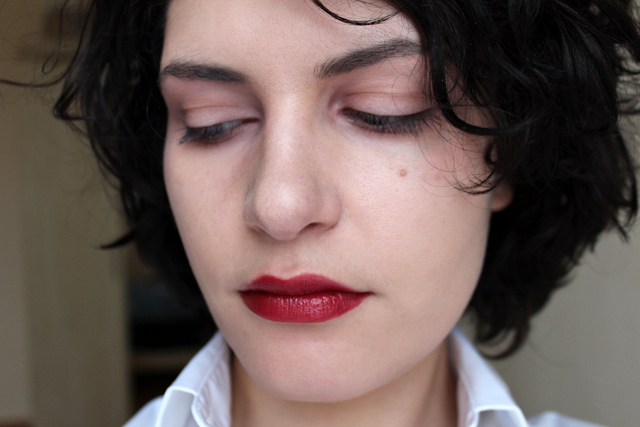 I’ve read quite different reviews so was curios to try this lipstick myself. Availability: at Dior counters since February. Price: 30$ for 3.5 gr. 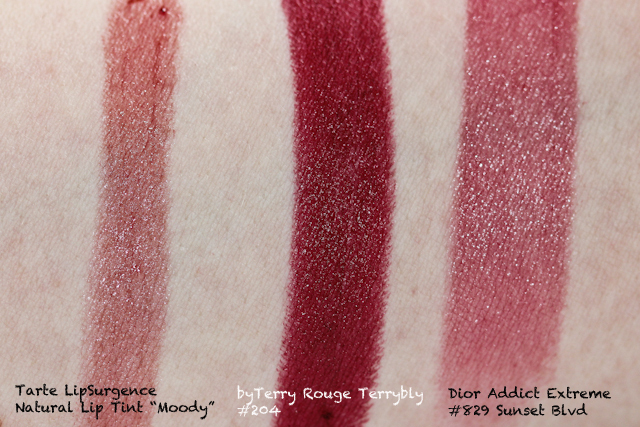 Duplicates: look at byTerry Rouge Terrybly #204 if you want the same color, but with full coverage and creamy texture. 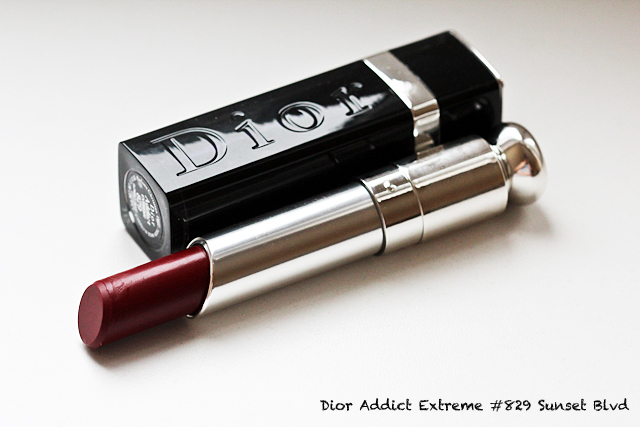 Final Thoughts: Dior launched 12 new shades in addition to 40+ that we have in Dior Addict Lipstick. But these are not only new shades, but also new formula. The color is much more vibrant and lasting with almost the same light formula. Unfortunately I’ve noticed that there’s no lip care effect, even more — the lipstick can dry your lips (so use some lip balm in the evening). So it behaves like stains in this part, but not as drying. When you eat or drink the color stays with you, but you lose that shiny finish. I need to notice that reviews of lighter colors are not that optimistick — I’ve seen that they don’t look as good and more of tinted lipbalm than a lipstick. The design of the packaging was changed to dark, which I’ve liked a lot. Please, read my review in Russian for maximum details on the product. Color details are given below. 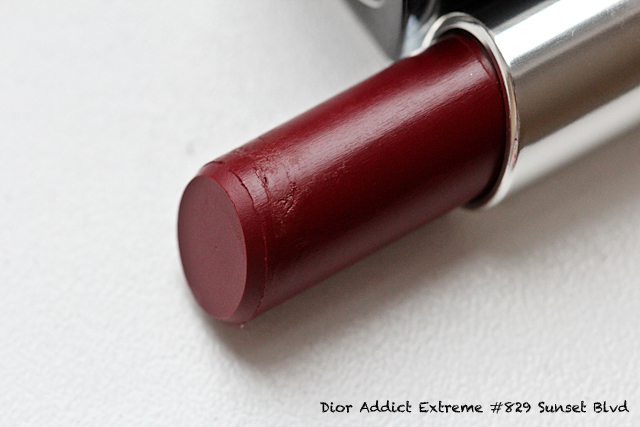 #829 Sunset Blvd — a bit vampish color of dry blood, intense warm mix of red and brown, shiny wet finish (no classic shimmer) and quite sheer coverage. The color is similar to byTerry Rouge Terrybly #204 if you look from the distance. Another lip stain looked alike — Tarte LipSurgence Natural Lip Tint «Moody», but seem to be more of plum when compared together. Sorry for pink eyes, I’ve few hard weeks in the office. *Item reviewed in this post was sent for consideration by my PR-contact in Dior.